Above Violet Crown Cinema is a magnetic new anchor in the Railyard. The multiplex presents films from foreign to arty to blockbuster, and its menu offers bacony brussels sprouts, burgers and truffle fries, and of course fresh popcorn. 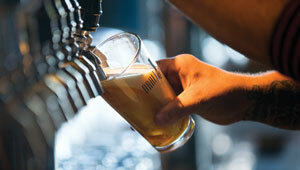 Pair your snack or meal with a pint from their dazzling craft beer selection—an attraction in its own right. ON A FRIDAY AFTERNOON last summer, Vince Kadlubek stood in front of a set of polychrome planning diagrams, trying to explain what the House of Eternal Return is, exactly. See, visitors will enter here, through the front door of a recreated Victorian mansion. Inside the house they’ll discover secret portals—by, like, crawling through a washing machine—to alternate dimensions. There’s a psychedelic forest you can climb around in. A spooky room full of fantastical mechanical creatures. A mastodon skeleton whose light-up bones can be played like a marimba. Kadlubek paused to see if all this was sinking in. “It’s a total explosion of art,” he said. 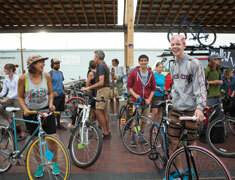 You don’t have to stray far from downtown to get a taste of the city’s new radness. The Railyard District is enjoying a minor renaissance, anchored by the new 11-screen Violet Crown Cinema, whose indoor-outdoor café has over 30 regional microbrews on tap. Along with the neighboring Jean Cocteau Cinema, another George R. R. Martin pet project (see “Revival House,” mynm.us/martincocteau), it helps anchor the Santa Fe Independent Film Festival, which recently drew more than 10,000 visitors in its sixth year. Across from the hopping Second Street Brewery, a pair of new restaurants expected to open this year will breathe new life into the Railyard Plaza. The contemporary art anchor SITE Santa Fe has announced a $6 million renovation, designed by New York’s SHoP Architects, that will add 15,000 square feet and a striking metal façade inspired by Navajo art. There are plans in the works for new affordable apartments and an underpass below St. Francis Drive, scheduled to open this summer, that will link bikers and pedestrians to the Santa Fe Rail Trail. 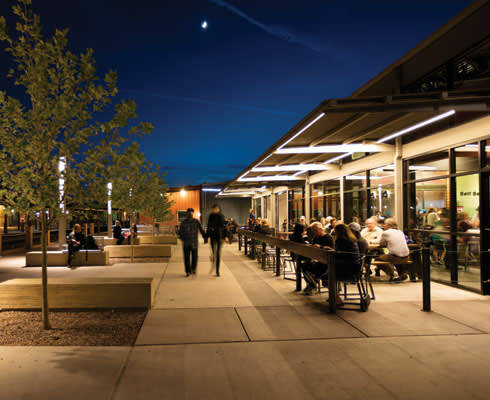 When the American Planning Association named the Railyard as one of its 2015 “Great Places in America,” it felt like affirmation for a movement that’s in many ways still picking up steam. In warm months, the Railyard plays host to a growing variety of festivals and events that draw on the city’s up-and-coming talent. Shannon Murphy, head of the nightlife-minded After Hours Alliance, says that when the group started its Progressive Arts Festival there four years ago, “we were saying we need to demonstrate in a public way that there are young people in Santa Fe. They are good artists, they’re good musicians, and they’re worthy of a big celebration.” Lately it feels like that celebration never stops. 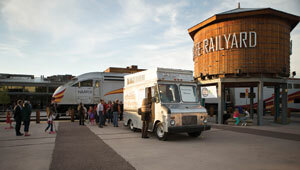 In addition to AHA’s festival, which this year expanded to the RAD and Second Street, the Railyard is the site of the art-tech hybrid Currents New Media Festival, Outside magazine’s Bike & Brew Festival, the Indigenous Fine Arts Market, and the Santa Fe Reporter’s Best of Santa Fe Block Party, just to name a few. Where your bands and artists are, there will your food trucks be also. Culinary experiments like the Filipino egg roll–fusion cart Egg Woah Yeah and the Mediterranean-Latin Kebab Caravan are taking to the streets all over town, often coming together for gatherings like the Progressive Arts Festival or food-truck events organized by the Reporter. Other wheeled vendors such as the burger truck Bang Bite have done big business in established parking spots. Trucks can be a low-overhead way to build a following in Santa Fe’s crowded culinary scene, in much the same way as Paper Dosa’s heralded pop-up-to-brick-and-mortar rollout made the South Indian eatery one of the city’s hottest new restaurants when it opened last year. 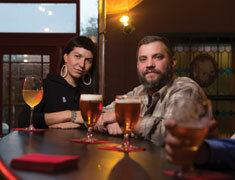 Farmhouse Ales, which is focusing on sours and saisons. 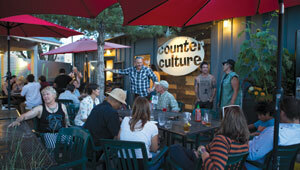 Even the venerable Santa Fe Brewing Company is undergoing a major expansion south of town. Throw in the artisan distillery Santa Fe Spirits and the new restaurant Radish & Rye, known as much for its extensive whiskey menu as its “farm-inspired cuisine,” and it’s suddenly possible to go all week without even thinking of a margarita. Nightlife is stirring, too, mostly in a few blocks west of the Plaza. A jazzy nightclub called the High Note opened in the fall, below Coyote Cafe, around the corner from the Galisteo Street strip that has long housed the live-music mainstay Evangelo’s and the Matador, a noisy basement dive bar popular with a younger crowd. The new Day of the Dead–themed Crow Bar, off Burro Alley, features tequila and mezcal cocktails. But the biggest addition to the scene has been Skylight, a 6,900-square-foot venue that includes four bars, two dance floors, and a full-service restaurant. One afternoon this summer, Kate Kennedy, who opened Skylight with her fiancé, Joe Ray Sandoval, in 2014, oversaw preparations for a flamenco show while helping to relocate some artwork displaced by a photographer’s opening the night before. 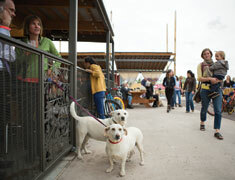 “Santa Fe hadn’t had a big-city nightclub experience in a long time,”she says. The size of the venue and the diversity of the local clientele have helped it become “a piece of everything to everybody.” The club even hosts monthly fundraisers for Meow Wolf, which throws parties with its own DJs in an upstairs space while the after-work crowd enjoys a band below. 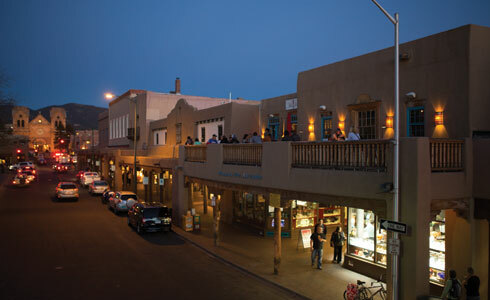 Because this is Santa Fe—whose planners envisioned it as an art capital a century ago—all of this comes back to that question about the economic value of the arts. Mayor Javier Gonzales, who took office in 2014 on a campaign to "grow Santa Fe young," has been a vocal supporter of the new generation of artists and entrepreneurs trying to find a foothold here. In the case of the House of Eternal Return, city backing and high-profile private investors have contributed to the “total explosion of art” that’s drawing talent from near and far to central Santa Fe. 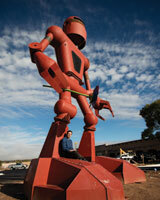 “Anybody who makes anything, knows how to work with materials and stuff, is basically working at Meow Wolf right now. It’s amazing,” says Kate Noble, the acting director of the city’s Housing and Community Development Department. Yet they’re just a piece of what Daniel Werwath calls “this totally organic thing that’s happening on Siler.” Established residents ranging from neighborhood taco trucks to the circus troupe Wise Fool New Mexico are contributing to a scene that’s just starting to ping on Santa Fe’s radar. This month the black-box Adobe Rose Theatre, founded by Maureen J. McKenna, who produced Neil LaBute’s first play in New York, will begin its first season in the RAD. It takes its place among blocks of artisans who’ve been doing Spanish Colonial metal-work for years, and graduates of the nearby Santa Fe University of Art and Design who are finding their first studios. When AHA held an event here called the Art of the Machine, hundreds of residents and visitors turned out to admire custom lowriders alongside art projects like a bike designed to look like a rocket ship. Take her advice and explore the neighborhood on foot, keeping your eyes peeled for surprises. 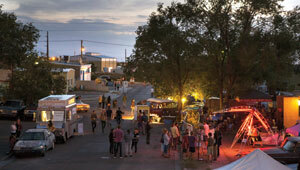 Start by fueling up on the Cubano sandwich and an orange creamsicle soda at Dr. Field Goods (see “Tasting NM,” ), then head up Siler, detouring into the blocks to your right to sniff out some excellent—and unlisted—studios tucked among the warehouses and metal shops, along with public art spaces like Offroad Productions and Fresh Santa Fe. At Wise Fool New Mexico’s studio, you can learn more about the community circus troupe—and, if your timing’s right, even drop in on a unicycle or trapeze class. Recharge with a canela-dusted Mexican mocha at Java Joe’s before taking the Rufina Circle loop for tacos de barbacoa made from scratch at Alicia’s Tortilleria, across the street from the site of the future Greenhouse Grocery Coop. Around the corner are the House of Eternal Return, conspicuously marked by a bowling-pin sign and a giant robot in the parking lot, and Duel Brewing, where you can sip Meow Wolf’s own Hair of the Wolf Belgian-style ale and make plans to catch a play at the new black-box Adobe Rose Theatre or the bilingual Teatro Paraguas. Hip music venues such as Radical Abacus are in the neighborhood, too, though for some you’ll have to ask around—in these parts, underground still means underground. When they’re not snowed under, bike trails link a couple of central Santa Fe’s most vibrant strips. If you need wheels (or just a tune-up), start at the Broken Spoke, which rents three-speed cruisers for $25 a day. Head up to Baca Street to warm up with Belgian waffles and coffee at Counter Culture Cafe— which occasionally shares its parking lot with the art truck Axle Contemporary—before exploring funky boutiques, six studio-galleries at Baca Street Studios, and consignment shops like Art.i.fact, home to a mini art gallery in the back room. Via the Acequia Trail, you can pedal over to the Railyard, but that’s worth a day to itself. For now, peel off to Hickox Street to visit the art gang Santa Fe Collective’s new home, across the street from the laid-back Tune-Up Cafe. Ready to ride again? Make your way to the Santa Fe Rail Trail, which breezes by the food-truck favorite El Chile Toreado and the local roaster Iconik Coffee on the way south to Second Street. Scope out outsider art at Phil Space, which has been in the neighborhood since 2001, and check in at GiG Performance Space to see if there’s a show scheduled that night. If not, the vintage video games at Back Road Pizza and well-rounded craft beer menu at Second Street Brewery should be more than enough to keep you busy—just don’t forget to turn that bike back in on time. The festivals that make the Railyard a go-to outdoor spot for art and bands may not be in season in winter, but the popular Saturday farmers’ market is open year-round—drop by in the morning to shop for locally grown produce and nursery plants. You can snag a pastry or breakfast burrito there, too, which’ll help sustain you as you make the rounds at some of Santa Fe’s best contemporary art venues. Start at SITE Santa Fe, whose big expansion breaks ground this summer, then hop over to gallery stalwarts like LewAllen and Photo-Eye. On sunny days, the Railyard Park is a can’t-miss family stroll, full of regional plants and fun play spaces. Warehouse 21 is a cool creative space for teens, while adults can enjoy live music and local suds at Second Street Brewery’s spin-off location. Get the gang together for dinner and a movie at Violet Crown Cinema, which has one of the best regional beer menus in town and 11 screens that show both blockbusters and art-house flicks. On the Railyard’s north side, George R.R. Martin’s Jean Cocteau Cinema screens critical hits and cult favorites and is guaranteed to be the most popular ticket in town whenever Game of Thrones’ next season premieres. Skylight co-owner Kate Kennedy says downtown Santa Fe’s nightlife sector is especially close-knit: “I mean, what if you need ice?” Luckily, her four-bar, two-stage nightclub is within a block or two of many of the city’s best bars. It also serves a full dinner menu and happy hour drinks starting at six, which makes it as good a spot as any to kick off an exploration of downtown’s new hotspots. Swing by the Draft Station to test out the recently added game room, where you can play Ping-Pong while trying not to spill an IPA from one of Santa Fe or Albuquerque’s award-winning breweries. Catch a jazz band at the High Note, a stylish new club on Water Street, then poke your head in at Evangelo’s or the Matador en route to the just-opened Day of the Dead–themed Crow Bar, which specializes in tequila and mezcal cocktails in a historic, tin-roofed Burro Alley space. Finish the night back at Skylight, where DJs and a younger crowd take over after dark, transforming it into the liveliest dance scene in town—at least until the Bandstand summer concert series starts up again on the Plaza.